Welcome to WeldedChainmail.com, showcasing the chainmail I make. I will be out of the country and unable to process orders from May 1 to June 3, 2018. Regular order processing will resume when I return. 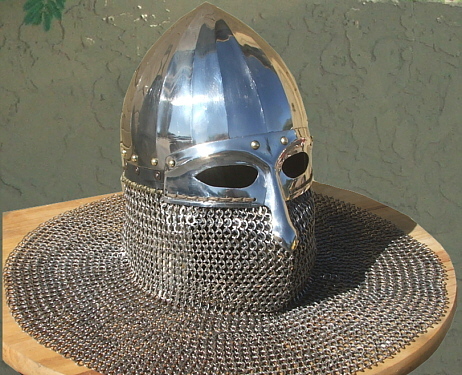 My chainmail is lighter, better fitted and WAY stronger than anything you can buy from other vendors. Welding increases the strength by a factor of something like 20 over the same links butted. Add to that that I can use the strongest alloys that modern technology can provide (unlike riveted mail). Please look around my web site and feel free to Contact Me if you have any questions.